What's my Carrollton home worth? 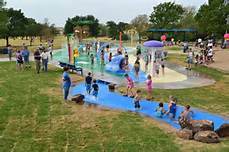 Carrollton Texas is know for its numerous parks and trails, award winning schools and having one of the lowest crime rates in Texas. Located just north of Dallas, Texas and within just a few minutes of DFW airport, I35, Dallas North Tollway, Sam Rayburn Tollway, President George Bush Turnpike, as well as Dart Rail and Bus makes Carrollton Texas real estate one of the most centrally located suburbs in DFW. Numerous corporations including Nebraska Furniture, Toyota, State Farm and Liberty Mutual leaves hundreds of employees flocking to Carrollton Texas for its thriving economy, perfect climate and prime real estate. Carrollton Texas real estate is bordered by North Dallas, Addison, Plano, Farmers Branch and The Colony. Information about Carrollton Texas homes for sale and Carrollton Texas real estate can be found at our office conveniently located in North Carrollton. Stop by or call Renee Mears Realtors for a list of currently available homes in Carrollton Texas. Click on the tab above to find out the value of your Carrollton home. When looking to buy a home in Carrollton Texas or sell a home in Carrollton Texas it is always best to use an experienced Carrollton Texas Realtor. 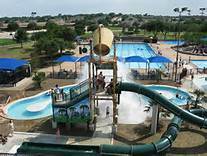 Carrollton Texas attractions and amenities includes the Rosemeade Rainforest Aquatic Complex, WJ Thomas Splash Park, the Oak Creek Tennis center, Indian Creek Golf Course as well as plenty of shopping and dining. 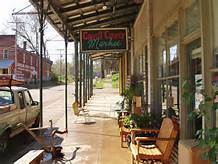 Also visit Carrolltons historic town square which is packed with old shops and resturaunts and is a popular spot to visit during the holidays. Real Estate options in Carrollton Texas includes pre owned homes and new home construction. David Weekly Homes is in the beginning phase of Raiford Crossing near Old Denton Road and President George Bush Turnpike. 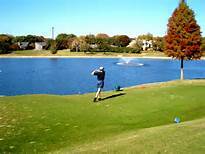 Popular subdivisions for Carrollton Texas real estate are The Homestead, Oak Hills, The Highlands, Nob Hill, Oak Creek, Austin Waters, The Shops at Prestonwood, Creekside, High Country Estates, Mustang Park, Quail Creek, Estates at Indian Creek and Moore Farm. Carrollton Texas offers single family homes, town homes, condos, garden homes and multi family homes and is perfect for first time home buyers, larger family homes and retirement homes. Click on the tabs above for neighborhood specific: area info, school info, demographics, neighborhood maps, recent sales & home values. If you are interested in Carrollton Texas homes for sale call Renee Mears at 972-489-0828. 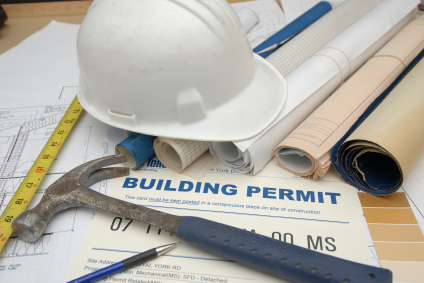 Click here for more information on current projects in the city of Carrollton. Come and see this Condo with a new look! Fresh paint throughout the house, engineering wood floors been refurbish , floor to ceiling kitchen cabinets, bathroom with new tub and tile, thankless water heater, spacious laundry room. and few more updates that you must see! xD; xA;Plus excellent location, close to shopping centers, and minutes from major freeways. NEW PRICE ! NEW PRICE ! Ready to move in !!! Downstairs Master Bedroom & Bath and Bedroom UP with 2nd Bath.Enclosed private patio. xD; xA;Refrigerator and Washer & Dryer, Microwave will go with Property. HOA covers Water,Trash and Sewer,insurance for Structure,maintenance of the Lawn,Commom areas and Pool.Located near DNT and George Bush Tuunpike. xD; xA;It won't last Long !!! This home has great potential but needs some TLC, the property is listed below market value due to condition. Home can be a great first home or investment property. Located in a highly sought area, home is in a large lot and has a big backyard. Brand new roof- only 1-month-old. Come see this home today, won't last long! PRICED TO SELL!! Great for an investor or 1st time homeowner that's ready to put some TLC into it! This townhome is located in a cozy, tree filled neighborhood. 3 large bedrms (master down), 2 full baths, 2 car garage. Low Monthly Utilities, needs some updates, sellers are MOTIVATED. Centrally located in the metroplex, quick access to Dallas North Tollway and PGBT. This wonderful townhome has an exposed brick wall that extends to the second floor. You will find a living room, formal dining room and a den with a wet bar downstairs. Along with the kitchen that has great counter space for preparing meals and there are french doors in the breakfast nook that lead out to the fenced patio area. A perfect place to entertain friends or family. This townhouse is also in a great location close to its Carrollton ISD schools, parks, shopping, and dining plus easy access to George Bush. Beautifully updated half duplex with a park like view out front. Totally updated just a few months ago including granite counters in kitchen and bath with beautiful tile backsplash in the kitchen, appliances, deck, roof & light fixtures as well as gorgeous Dura Tile wood look flooring throughout. The home has an updated electrical panel, TV mount that is ready for in wall rated cables, and installed Nest thermostat. The home has two master bedrooms on either side of the main living area and kitchen, its walking distance to parks with a plethora of great food nearby. There is also a pool in the community and the HOA takes care of front yard maintenance. Who knew that home was just a couple of steps away!